Actually NO, because we still have a coco substrate. If you heard it for the first time, you will be quite surprised. Astonishingly, coconut peat for plant breeding has already been used almost 200 years ago. In the middle of the 20th century, this solution appeared in Europe and since then, its popularity has been increasing steadily. Now, let us explore the different ways to use coconut substrate in crops and other facts that are worth knowing about it. Substrate and coconut - how is it possible? Most of the people have the same question because it is really interesting to see how this nut can be formed on the substrate on which the plants will grow. The answer lies in its shell, which is brown on the inside. After removal, they are rinsed and then secured. Things, which are completely standard for many people living where palms grow, seem strange to untrained growers or laymen. You can not only make a lot of things such as brushes, ropes, mats out of them, but also use it for sealing boats. This is the reason why in Malaysia – where plenty of palm trees grow – they are referred to as the Seribu of Guna, which means a tree with a thousand applications. In Sanskrit, they are known as Calcash, which can be explained as a tree that satisfies all the needs of life. Coconut substrate - why is it worth it? There are many reasons which make coconut substrate worth it. To begin with, it offers excellent, practically unlimited absorbency & naturalness, as well as living environment for useful fungi of the genus Trichoderma, which is very beneficial because they protect plants from other fungi. Secondly, because it is 100% biodegradable, it does not need to be recycled. Thirdly, there is no problem with the collection and retention of water, which is why it constantly permeates the air, which is also due to the lack of clumping of fibers. Apart from that, it is free of dangerous pathogens, and is characterized by a neutral pH. Hence, as soon as it becomes necessary, it can be acidified or made more alkaline. As for the substrate, coconut can be used for a very long time, which can be even for two to three seasons. 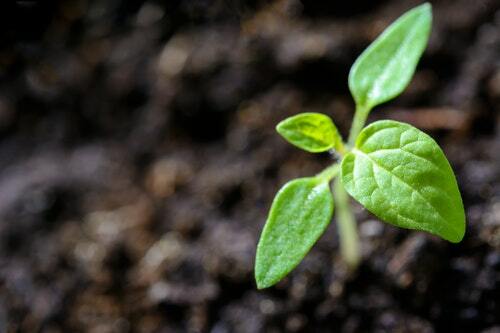 After this time, once it loses its properties, it can still be used as a fertilizer for the garden. If not required, you can simply throw it away or burn it. 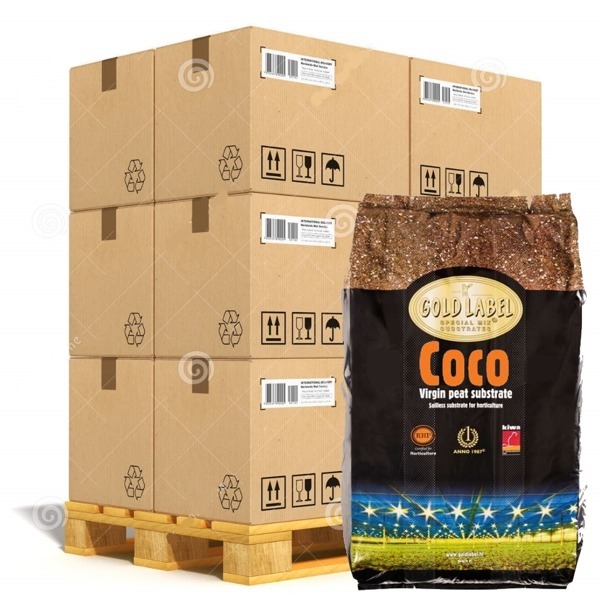 So far, you might have become well-aware about the benefits of coconut substrate for cultivation, but to get the maximum benefits of it, it is worth investing in a proven brand. Gold Label is made of high-quality coconut fiber, which means that only ripe & brown scales of the coconut are selected to ensure rapid growth of the crop. 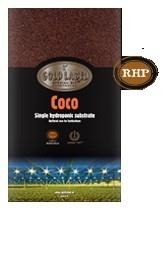 Just like other products of this manufacturer, Gold Label Coco is certified with the RHP mark, which proves that these products meet the high requirements of the soil. Production process of this product, right from obtaining the raw material to all the way upto packaging, is controlled and carefully observed. This is a sigh of relief for every gardener, who wants to offer the best to his garden. Gold Label products fulfill many guidelines, some of which include: appropriate EG, pH, proportions of nutrients; freedom from chemical contamination; agreeable air content & water capacity; and lack of pathogens & weed seeds. If you haven’t used the coconut substrate yet, it is the right time to invest in one such product to not only increase your garden productivity but to reap in several other benefits as well. After all, the examples cited above clearly show that it is really worth it!